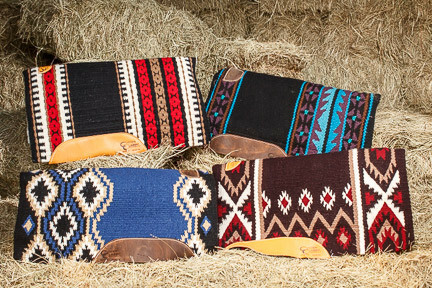 CCSB has been making top quality saddle blankets here in Marietta, OK for performance horse exhibitors and ranch cowboys. 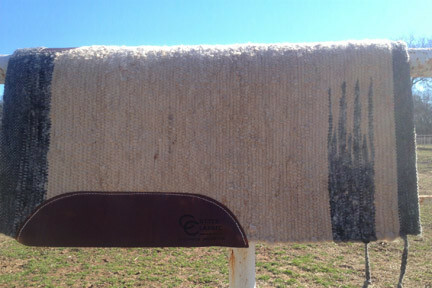 Using 100% Merino Wool fleece under woven wool blankets, sewing hospital bed padding in between and adding good quality wear-leathers has made for a saddle pad that also serves ropers, barrel racers, cow horse and stock horse competitors and serious trail riders. 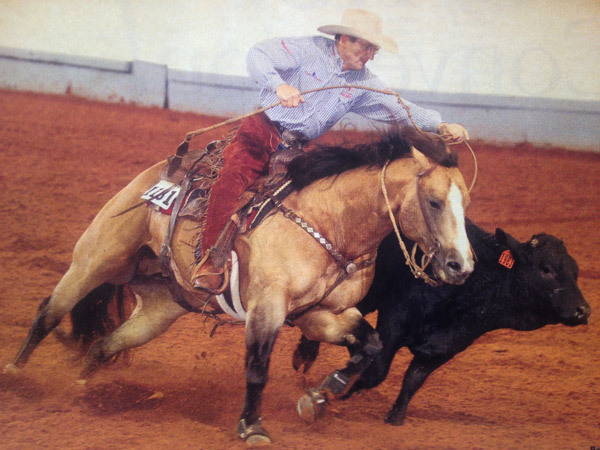 We feel confident that we solve the problem of the sore-backed horse and can keep your saddle from shifting or your pad from slipping while giving you the convenience of a tough everyday pad that looks great in the show pen for years. Although we are a small company, we are increasing our production and have many design and color choices at all times. These pads are also popular as awards and can be made with custom corner plates, custom leatherwork, brands, etc. 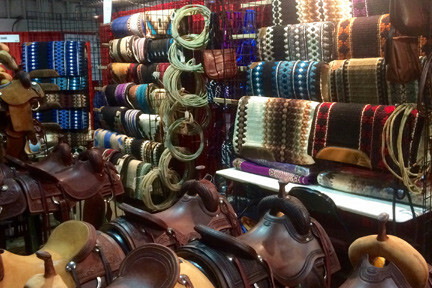 If you’re in the market for Saddle Blankets, Western Saddle Pads or Horse Saddle Pads, contact us here or give us a call at (580)276-6126 or (580)490-1124. We’re glad to visit with you and see how we can serve you!